Alan Christopher Neal is Professor of Law in the University of Warwick. He sits as part-time Chairman of Employment Tribunals (London Central) and is Convenor of the European Association of Labour Court Judges. 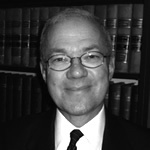 A specialist in British and European Employment Law, he is the author of numerous books and articles in those fields. He was for 10 years the Editor in Chief of The International Journal of Comparative Labour Law and Industrial Relations. Professor Neal is a specialist employment lawyer who, in addition to practising before the Employment Tribunals, deals with the law relating to health and safety at work, together with a wide range of other matters concerning employers and employees.